There are many ways to experience the bridge. Having just glided under it with us on your private charter, you may decide that you want to experience it from a new angle and you can choose one of four ways to do just that! Climb all the way to the top at any time of day, and view the Harbour in all its glory at the bridge’s 134m high summit. If that’s a little too adventurous for you, you can take to the stairs for a much shorter journey and make your way to the pylon lookout. 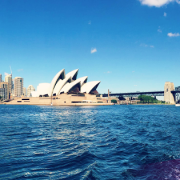 You’ll get a great view of the Sydney Opera House and the surrounding Harbour and there’s a museum showcasing the history of the bridge, its construction and challenges that were faced by those involved. Whether it’s up high or from a little bit lower, during the day, at sunset or after night has fallen, taking in the Harbour however you choose, will be an experience you won’t forget! Sydney Tower is the tallest building in the city at 309m tall. Get ready for a great 4D experience in the cinema before shooting up above the clouds for an awesome 360 degree view of, not only the Harbour, but of the city and beyond … on a clear day, you can see Melbourne (well, you can’t but you get the idea!). To enhance this experience, why not add on a Skywalk trip which takes you outside of the tower to an external viewing area. 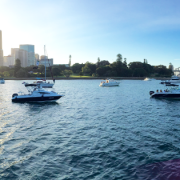 The Domain is one of the more popular and most frequented views of the Harbour. The Opera House sails and the Harbour Bridge sit on the horizon spanned by shimmering blue water. 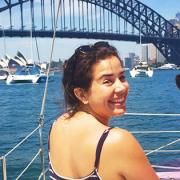 You don’t get the fantastic aerial views that come with the bridge climb or at the top of the Sydney Tower, but you don’t get a perfect spot to relax and take in all the wonder of the Harbour with a nice picnic. You’re not far from Circular Quay and the amazing Botanical Gardens are right on your doorstep, ready for you to explore at your leisure. 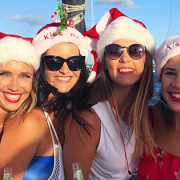 What makes a Rockfish Cruise the best on Sydney Harbour? 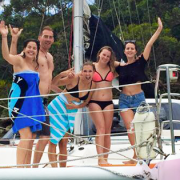 Why Sydney Harbour is the best place to hang out this Summer! When is the best time to be on the water this year? 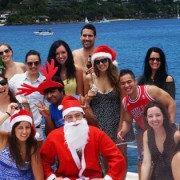 Book Yourself a Rockfish Christmas Party!